buy cheap viagra online uk next day delivery click for more info Charles Patrick Murray, Jr. was born in Baltimore, Maryland on September 26, 1921. He moved with his family to Wilmington, North Carolina as a toddler, and was in his third year of studies at the University of North Carolina when he was drafted into the United States Army on September 7, 1942. He was commissioned as an officer, and arrived in France as a replacement platoon leader in Company C, 1st Battalion, 30th Infantry Regiment, 3rd Infantry Division during October of 1944. By December 16, 1944, Murray was acting as commander of Company C, and that day he single-handedly attacked a 200-strong Nazi enemy force that was pinning down a neighboring unit. He kept up the fight, despite grievous wounds from an enemy grenade, until his men could consolidate their position and win the day. Citation: For commanding Company C, 30th Infantry, displaying supreme courage and heroic initiative near Kaysersberg, France, on 16 December 1944, while leading a reinforced platoon into enemy territory. Descending into a valley beneath hilltop positions held by our troops, he observed a force of 200 Germans pouring deadly mortar, bazooka, machine gun, and small arms fire into an American battalion occupying the crest of the ridge. The enemy’s position in a sunken road, though hidden from the ridge, was open to a flank attack by 1st Lt. Murray’s patrol but he hesitated to commit so small a force to battle with the superior and strongly disposed enemy. 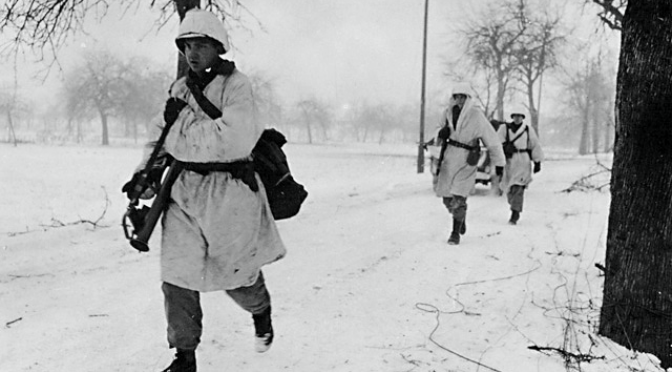 Crawling out ahead of his troops to a vantage point, he called by radio for artillery fire. His shells bracketed the German force, but when he was about to correct the range his radio went dead. He returned to his patrol, secured grenades and a rifle to launch them and went back to his self-appointed outpost. His first shots disclosed his position; the enemy directed heavy fire against him as he methodically fired his missiles into the narrow defile. Again he returned to his patrol. With an automatic rifle and ammunition, he once more moved to his exposed position. Burst after burst he fired into the enemy, killing 20, wounding many others, and completely disorganizing its ranks, which began to withdraw. He prevented the removal of 3 German mortars by knocking out a truck. By that time a mortar had been brought to his support. 1st Lt. Murray directed fire of this weapon, causing further casualties and confusion in the German ranks. Calling on his patrol to follow, he then moved out toward his original objective, possession of a bridge and construction of a roadblock. He captured 10 Germans in foxholes. An eleventh, while pretending to surrender, threw a grenade which knocked him to the ground, inflicting 8 wounds. Though suffering and bleeding profusely, he refused to return to the rear until he had chosen the spot for the block and had seen his men correctly deployed. By his single-handed attack on an overwhelming force and by his intrepid and heroic fighting, 1st Lt. Murray stopped a counterattack, established an advance position against formidable odds, and provided an inspiring example for the men of his command. Murray’s Medal of Honor was presented to him in front of the entire division on August 1, 1945. He remained in the Army, retiring in 1973 as a Colonel, having served in the Korean and Vietnam Wars as well. In addition to the Medal of Honor, he was also decorated thrice with the Silver Star for valor. He passed away at age 89 on August 12, 2011 and was laid to rest with full military honors in Arlington National Cemetery.